Catherine worked for a decade with IBM. Following two years in Japan as Asia Pacific Headquarters Human Resource Manager, she returned to Australia with a heightened awareness and commitment to quality customer service. As Customer Education Manager for Asia/South Pacific, she gained an appreciation of regional cultural differences and current leadership issues, when she was responsible for the delivery of IBM’s high potential and performance leadership programs. Earlier experience as a Sales and Marketing Representative and as Employee Communications and Special Events Manager provided insight into effective communication, motivational programs and conference organisation. Following IBM, Catherine was CEO of Junior Achievement Australia – a worldwide organisation forging closer links between business and education..
Catherine served as a speech writer/press secretary to Ministers of Consumer Affairs and Education. Prior to that, she was responsible for all sports funding; involved in the establishment of the award-winning “Life Be In It” fitness campaign; and author of a book on sports marketing. She was an independent board member of the 3rd largest police service in the world. Catherine holds a Master of Science degree & has attended short courses at Harvard University & The Melbourne Mt. Eliza Business School, where she also lectured; as well as IMD in Switzerland. Yet this former teacher, once a Mensa member, still believes the best education is common sense! She touches the head and the heart to shift attitude & empower action. One of the most sought after speakers in Australia today, Catherine is a former university lecturer, who has spoken at local and international conferences. Best-selling author, columnist and frequent broadcaster, she has shared the platform with the Prime Ministers of 3 countries and President of the Business Council of Australia. 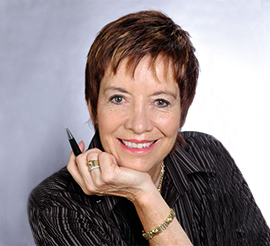 A CSP (Certified Speaking Professional, she was twice awarded Australian Keynote Speaker of the Year. Author of 8 best selling books – translated into over a dozen languages, she has also written corporate histories and can write yourstory.